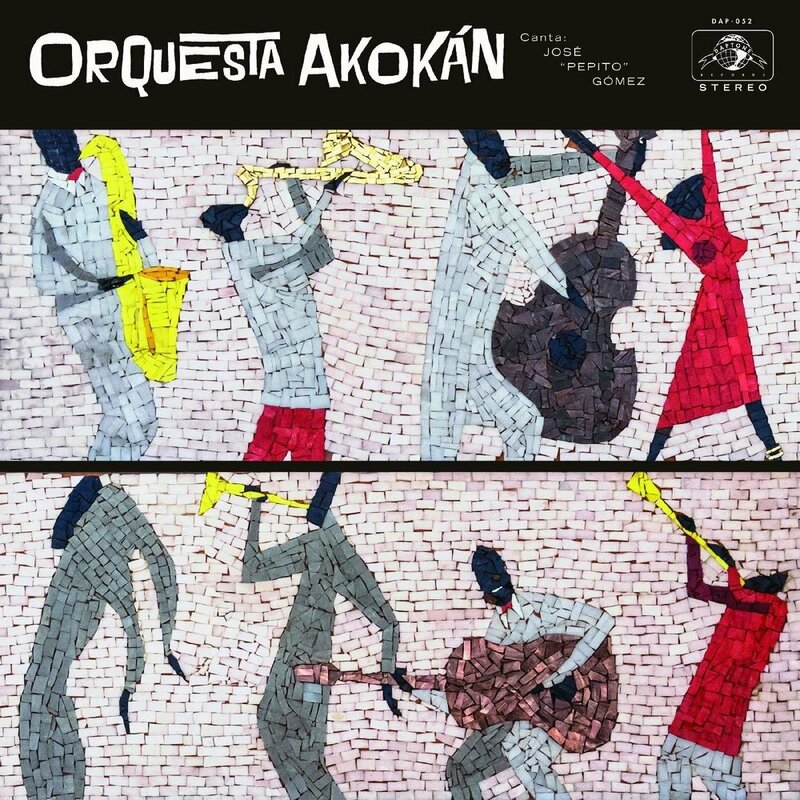 On March 30, Daptone Records will release the new album by Orquesta Akokán. It is among my favorite albums of the past few years--so much flavor, amazing arrangements and creative orchestration. Read more about them here at NPR program alt.Latino. Listening to the new LP by Orquesta Akokán, you can't help but feel the spirits of Cuba's musical giants radiating from the speakers. But honoring and caring for these spirits is not easy work, nor is it a task to be left solely to one generation. It is a collaboration of young and old; The elders know the traditions, the gestures, the incantations, but it is the younger generation that have the duty to learn, the strength to carry on, and the fire and soul to make new songs for new spirits. In November of 2016, Michael Eckroth traveled to the hallowed Areito studios in Centro Habana with a stack of charts tucked under his arm. Arriving in the cavernous wood-paneled live room, he took stock of the players assembled by producer Jacob Plasse: a dozen or so of Cuba’s most ferocious and pedigreed wind and rhythm players from storied groups including Irakere and Los Van Van, the sensational veteran vocalist José “Pepito” Gómez, and a handful of seasoned young New York Latin music freaks. These musicians would transform his charts into the living, breathing document you’re holding in your hands. An arpeggio tumbles sweetly down the keys of the piano, and the set bursts forth en masse with exclamatory trumpet blasts, introducing saxophones that immediately establish themselves as the center of a rhythm section. The arrangements carry the exquisite beauty, pathos, and playfulness of the renowned dance orchestras of the 1940s and 1950s who had recorded in this very room, evoking the ghosts of Arsenio Rodriguez, Perez Prado, and Beny Moré. And the robust, time-tested musical architectures of son cubano and mambo are present and skillfully honored through all nine of these original compositions. The melodious tres cubano, the swinging tumbao of the congas, the tight blend of vocal harmonies — they’re all there. Yet there’s something unequivocally fresh — saxophone sections playing montunos where you’d imagine a piano, an angelic, swinging flute you’d expect in a charanga recording, sones — vocal improvisations that have the seasoned flow and cadence of mid 1970s “salsa dura” singers, and of course, the appearance of the inimitable César “Pupy” Pedroso on piano. Somehow this synthesis of musical grammar and compositional styles, of Havana and New York, of old and new, makes perfect sense. Akokán is a Yoruba word used by Cubans to mean “from the heart” or “soul”, so it comes as no surprise that a recording like this would find its way back to Brooklyn’s Daptone Records. For nearly a generation, the venerable label has brought us soulful music in a myriad of styles, made in the present, but with all the craft and flavor of the classic recordings of the past. In doing so Daptone has enshrined both the genres it honors as well as artists creating new works in the universal canon of dance music. It’s a perfect kitchen from which to serve this captivating baile between old and new — una sopa levantamuertos (soup to raise the dead), prepared with rhythm, with care, and above all, con akokán. Antibalas Spring 2018 tour dates on West Coast, Colorado and Idaho. Teaching at Penn State Spring 2018. Besides Antibalas stuff I have been doing a lot of writing and recording for the next Ocote Soul Sounds album. In June I went to perform at the Bonnaroo Festival in Tennessee with Angelique Kidjo's Remain in Light project. It was hot, muggy, and intense. U2's bassist Adam Clayton was there on the side of the stage digging the show. This was a big nerd moment for me as the first concert I attended was the U2 Joshua Tree Tour at JFK Stadium, Philly in 1987. (That's Adam of U2 front left, Angélique Kidjo center stage and me on the far right with the big saxophone). A few weeks before that I was at Good Child Studios in Brooklyn working with producer Lawson White and Balún, an amazing electro-acoustic band from Puerto Rico. They wrote a beautiful song that featured the Antibalas horns. When I'm not driving or sitting in a van on the highway, I have been doing lots of vegetable gardening--tomatos, kale, peppers, salad greens, eggplant, herbs, flowers, apples) (pics forthcoming) and building out my studio on the side of a mountain in Appalachian Pennsylvania. Kenny Loggins "Until you come back to me"
Melissa Etheridge "I Never Loved a Man"
Ceelo Green "The Night Time is the Right Time"
Taj Mahal and Deva Mahal "Chain of Fools"
Sam Moore (of Sam & Dave) "Don't Play That Song"
Don Bryant (Hi Records songwriter/singer) "Drown in My Own Tears"
Todd Rundgren "Since You've Been Gone"
Sarah Dash (of Labelle) "Dr. Feelgood"
Naomi Shelton "A Change is Gonna Come"
Here are some of photos collected from the roving eyes of the Internet. One of my favorite moments from last night's rehearsal was with #melissaetheridge and #antibalas. She's the sweetest. Can't wait for tonight's show at Carnegie Hall. She's singing Aretha Franklin's "I never loved a man." SO good. New collaboration with La Banda Bastön (Mexico) and members of Antibalas (NYC) for their latest album "Luces Fantasmas"
New Ocote Soul Sounds 45 out TODAY! New 45 single release by Ocote Soul Sounds feat. Quantic and Chico Mann. Out 6/17/2016 on Wonderwheel Recordings. Along with the Antibalas horn section, I'll be part of this tribute to one of my favorite singers of all time, Bill Withers. I'm honored to be part of an amazing cast of singers and musicians, including musical director Greg Phillinganes. I've been working transcribing and arranging horn parts off the "Live at Carnegie"record and "Hits" for the four piece section including my colleagues Jordan McLean, Ray Mason, and Jas Walton.